It is worth a thousand words, isn't it? 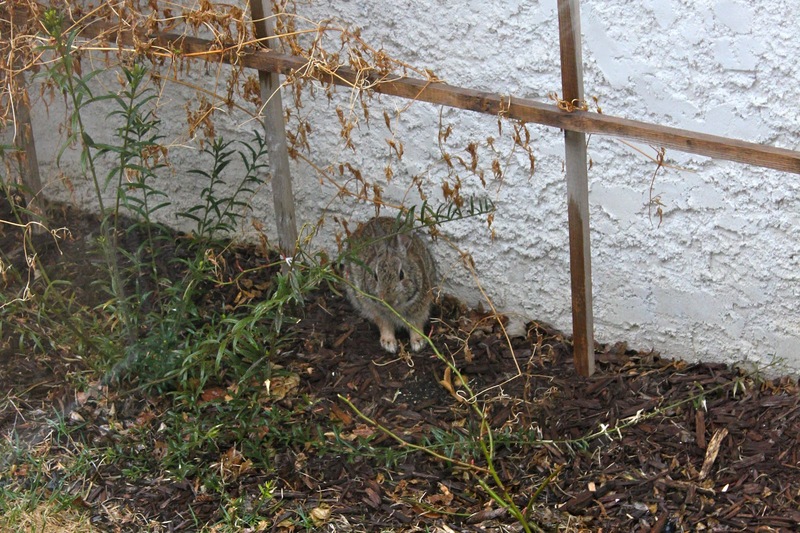 Today this bunny nibbled in my garden and denied all responsibility for the treats shown above. Posted by K.D. at 3:23 p.m.
Hiya, OldDog! That's one handsome...spoiled... J you have there. Looking forward to keeping in touch through blogland! Sounds great! I have to run because J starts swimming lessons today... which means I have to go wax my legs. Good times. Hopefully he'll love the swimming!